Apple set standards so high that hardly any company can follow. Launching iPhone 7 on the market with its elegant and futuristic design and unbeatable performance, left only one thing questionable: the battery life. Although the battery life is an issue to most smartphones, especially because most of us barely separate from our smartphones on daily basis, even Apple couldn’t find a way to make it out last. But in the frenetic world we live, we all know that “my battery is dead” is not a valid excuse anymore to keep you from going. Solve the “low battery” issue with upgrading your battery with a battery case that will keep your iPhone’s power up for a long time. 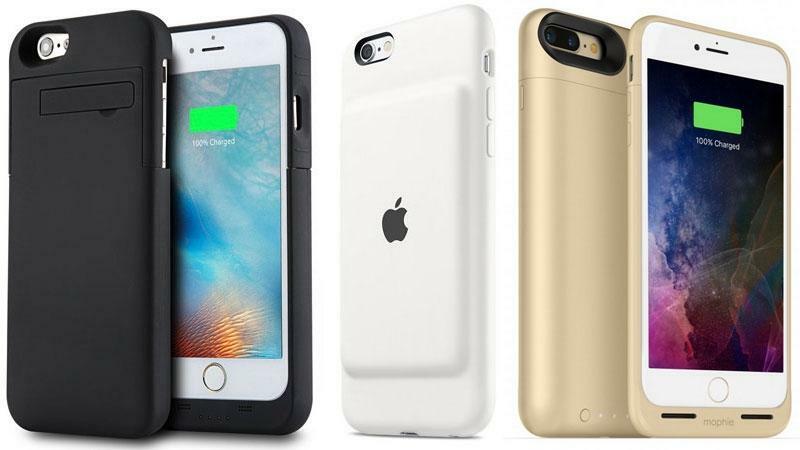 See our list of the best 6 iPhone 7 battery cases for details. If you want to keep it classy, Apple offers an elegant 2,365mAh battery that comes with a front speaker in order to improve the audio on your iPhone. 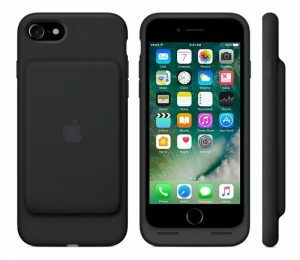 The official Apple fully charged battery case paired with fully charged iPhone 7 extends your talk time up to 26 hours, and your internet time up to 22 hours. Opposite of some other battery cases, keeps your phone fully charged by using the battery from the case prior your iPhone’s battery. With the soft microfiber lining on the inside, and a smooth silicone exterior gives the needed protection from possible damages. It also charges via lightning. READ Apple’s iPhone 5 Vs. Samsung’s Galaxy S4: Are they worth the price? 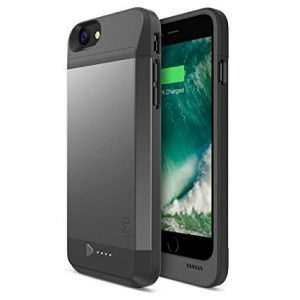 This is one of the most reviewed battery cases for iPhone 7 on Amazon with the 3200mAh battery, which will extend the battery life of your iPhone 7 by 14 hours of talk time or 10 hours of internet use time. 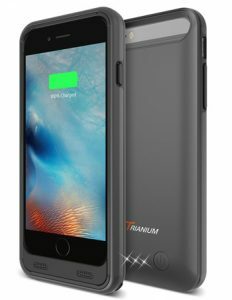 The protective shell wrapped in a shock-absorbing rubber and the sturdy back plate will keep your iPhone 7 away from all damaging elements, but won’t add much weight to it – trianium battery case is pretty compact and slim. 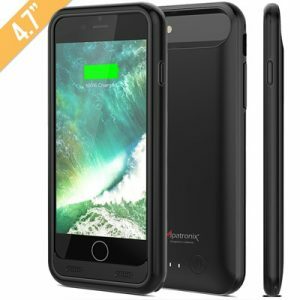 The Alpatronix BX170 battery case offers 3200mAh that will keep your iPhone’s power up all day. This case is also Apple MFi certified but doesn’t support Apple EarPods with a lightning connector or traditional 3.5mm headphones, supports only Bluetooth ones. Dual layer protection together with the 360-degree scratch-guard will keep your valuable toy away from damages and scratches. Q Cell’s 4000mAh rechargeable Li-polymer battery will boost your iPhone battery life up to 17 hours of talk time and more than 12 hours of internet browsing time. Thanks to the QuickCharge feature fully charges in about 2.5 hours. Offers sync-through technology for syncing your iPhone with a computer without having to remove the case. Also, you can recharge it together with your phone. The bumper design paired with hard back plate offers maximum protection from drops and scratches, yet won’t add much bulk to your hands. 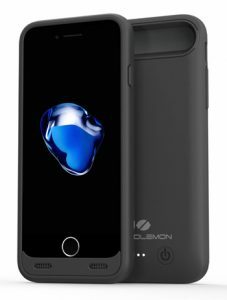 If the design is what you are looking for, take a look at the ZeroLemon battery case. Very thin and elegant, with a capacity of 4000 mAh, which means 14+ hours of talk and 10+ hours of web browsing time. But no need for second thoughts about its ability to protect your phone, because the high-grade build material will keep your iPhone away from any kind of damage. Offers sync technology, so you can easily pair your iPhone with a computer, without having to remove the case. 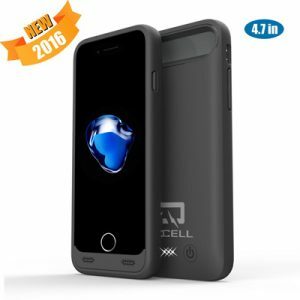 This battery case comes with an embedded rechargeable 3100mAh li-polymer DX battery that will keep your iPhone powered up for 14+ hours talk time and 10+ hours web browsing time. It is also not compatible with Apple Lightning or traditional 3.5mm headphones, but only with Apple Airpod Bluetooth headphones or any other wirelessly connected headphone accessories. It is MFi Apple certified and offers sync technology. The rugged bumper design gives maximum protection from any type of physical damage.